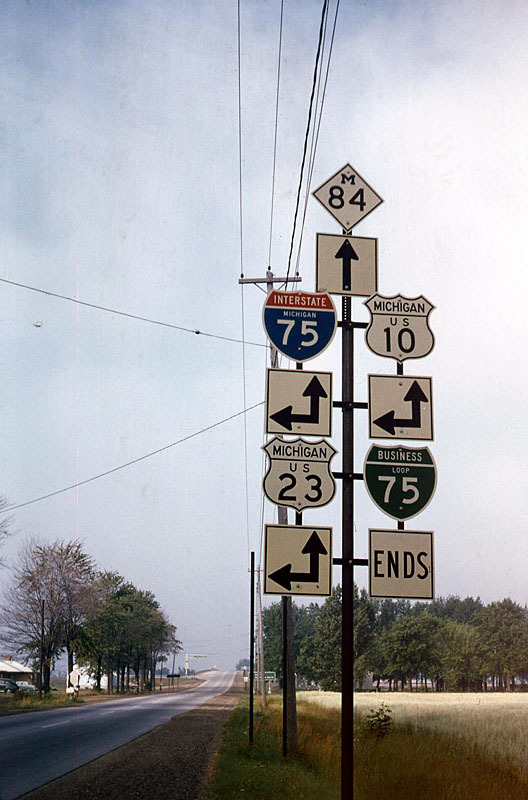 This sign assembly had virtually every basic Michigan route on it, so I stopped and snapped the photo. This is I-75 Exit 160. US 10 now begins two miles north at Exit 162. I-75 and US 23 are still together, and M-84 is unchanged. The I-75 Business Loop is gone. Photo by Jim Lindsay, 7/15/1961.